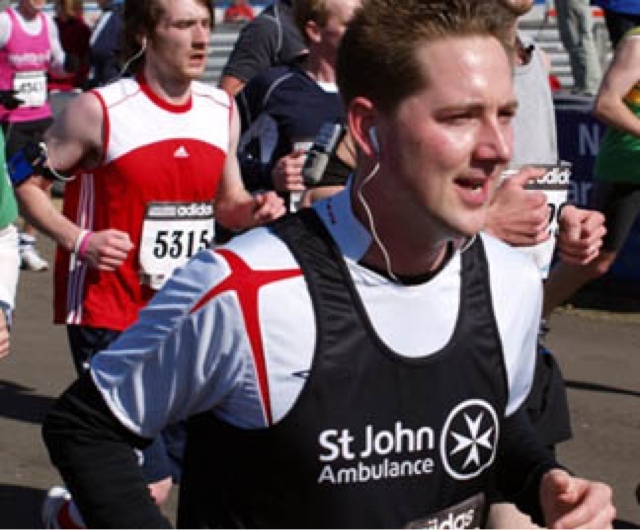 Today I finally did it – I applied to run the London Marathon 2013. Now, I know this does not necessarily mean that I will get a place, but I have gone down the charity placement route, that does guarantee you a better chance of running. For the London 2013 Marathon sponsored by Virgin I decided to run for the St Johns Ambulance Brigade, a very worthy charity, I believe, steeped in history, and local interest (St John’s Gate is 100 yards from my house) as well as a cool black running vest with the St John cross on the chest. Now I am not guaranteed a place, and it is around the time when I will be running a few halves (the Charlotte Speedway and the New York Half are both a little before), but this is it, the great challenge. By then I would have run half a dozen 10s, and certainly 3 or 4 halves. I feel good. I feel confident. Previous Post Training for the Great Yorkshire Run – eee by gum!